Home to a host of modern facilities and duty-free shops, Minneapolis St. Paul Airport (MSP) is one of Minnesota's most prominent airports. Minneapolis Airport features a selection of ground transportation, with airport travel options including buses, shared-vans, taxis and car rental companies. 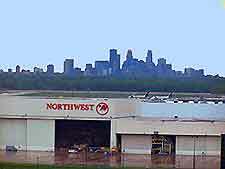 Minneapolis St. Paul International Airport (MSP) stands just 26 miles / 16 km to the south of central Minneapolis and around 12 miles / 19 km from Saint Paul. Minneapolis St. Paul International Airport (MSP) contains two large terminal buildings, connected by courtesy shuttle buses and serving many well-known airlines. 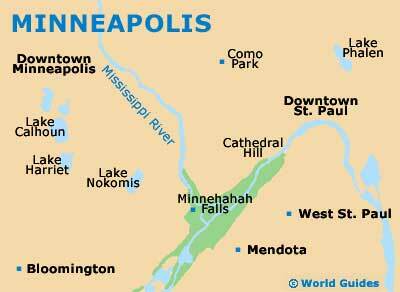 Book your Minneapolis Car Rental here. Minneapolis Airport (MSP) is served by a number of public buses and shuttle buses. Operated by Metro Transit, bus travel is a particularly affordable travel option and bus stops can be found at the Transis Centre. A number of hotels also offer free door-to-door shuttle buses for their hotel guests. Shared-van rides are becoming an increasingly popular method of ground transportation at Minneapolis Airport and provide door-to-door travel to many destinations in and around the city. Taxis are in plentiful supply at Minneapolis Airport and are one of the most reliable and convenient methods of ground transportation available. Airport taxi ranks are located outside of the main Lindbergh Terminal and the taxi journey from Minneapolis Airport into the city center lasts around 30 minutes.